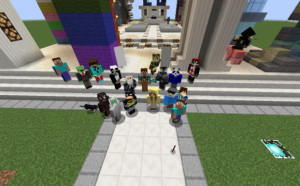 We’re happy to announce our slate of 2019 online summer camps in Minecraft and Esports. Choose from week-long Survival, Adventure, Creative Camps and more. We offer co-ed and girls only programs. It can be hard to find tech camps that are staffed by expert counselors, convenient, and affordable. We’ve got you covered all three counts. 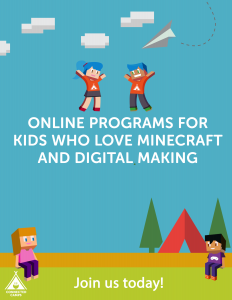 Our online camps ignite creativity and a passion for tech learning. Connected Camps counselors are as enthusiastic about Minecraft and Esports as our campers, and come from top university programs in computer science, game development, and design. They organize collaborative projects and adventures that are both challenging and fun. In the first few days of camp kids get comfortable with communicating, playing, and building together online. The campers are connected via Teamspeak chat which means they don’t have to be speedy typists, and the counselors can easily keep tabs on what’s happening. Extraordinary learning is powered by great people, shared interests, engaging activities, and a community kids can return to again and again. An online camp and community means that kids can stay connected to our community year round without breaking the bank. Unlike traditional camps, our summer camps connect the interests that are sparked during the summer to learning year round. Check out our full array of year around programs to keep the fun going all year round. 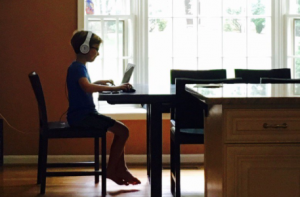 So if you’re looking to connect your child to an online community where they can geek out in the company of others, enrolling in an online summer camp might be just the thing for you. Click here to grab your summer camps.